Furnished and ready to Enjoy! Garage: "1 reserved parking space"
Size: 140 sq. m. "1506 SQ F T"
Playacar is an exclusive tourist and residential complex located in the main urban area, which is located in the hotel zone of Playa del Carmen, in the municipality of Solidaridad, in the State of Quintana Roo, Mexico. It has controlled access, three in total and offers very exclusive villas near the sea, with beautiful beaches near the very popular 5th Avenue of Playa del Carmen, as well as the construction around the golf course designed for the architect Robert Hagge. 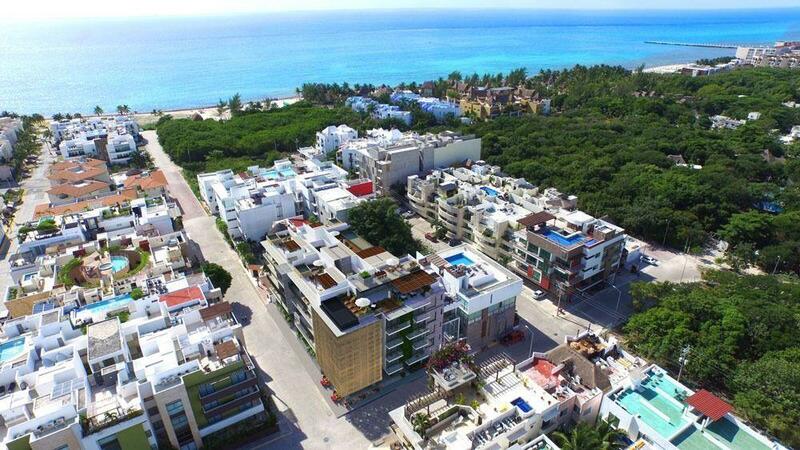 Condos Los Lirios Playacar Phase II It offers private beach area, outdoor swimming pool, you can practice cycling in the vicinity, has access to hotel services. To a beach adapted for people with easy access to public transport and ferry Terminal to the beautiful Island of Cozumel. This beautiful PENTHOUSE has a rooftop terrace with views of the city, barbecue, air conditioning in all areas, 3 furnished bedrooms with closet, 2 full bathrooms, laundry area, fully equipped kitchen, as well as dining and living rooms, as well reserved parking for your car. MAINTENANCE INCLUDED IN THE RENT!!!! Take advantage of current exchange rates for even better pricing!! !